A CD is a great way to save money over a set amount of time while earning interest. Find out which institutions offer the best CD rates in order to get a high return on your money. A savings account allows you to save your money without a time restriction while earning some interest. Discover which institutions will provide you with a high yield rate in exchange for your deposit. Checking accounts offer a safe way to hold your money while making convenient features available. Compare various checking account options to see which institutions can offer you the best features. A money market account is similar to a savings account with one exception: rates are based on activity within the financial markets. Determine whether or not this financial vehicle is right for you. An IRA account permits you to hold retirement money into a tax-deferred investment vehicle. Get more information on whether an IRA CD or an IRA savings account would be a better option to place your retirement money. A deposit account is an interest-bearing account held by a bank or credit union that allows you to deposit and withdraw money. When you open a deposit account, you give your financial institution some money to hold for you. While the money is in the account, it earns interest. Certificates of deposit (CDs) are a good tool if you have a savings goal that’s three months to several years away. When you put money into a CD, you won’t be able to touch it for a set amount of time without incurring a penalty. That time period typically lasts anywhere from three months to 10 years, or even longer. If you’re trying to build an emergency fund or you know you will need to access your money in the near future, a CD isn’t the best deposit account for you. CDs are better for savings goals like buying a new car or saving up for a down payment on a home. You won’t be able to access your money during the CD’s term, but that commitment gets you a higher interest rate than you would find with a savings account. If you withdraw money from your CD before its term ends, the bank may charge a hefty penalty fee. Fees vary by institution and CD term. 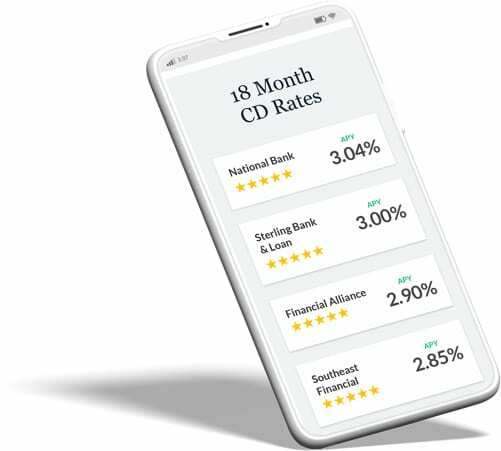 To set up a CD, you will need a minimum deposit — a figure set by the financial institution — and will not be able to exceed a maximum deposit, which will also be set by the institution. CDs are best compared by APY, though the amount of money you have to deposit may affect which accounts you can open. It’s still easy to get your money out of a savings account, but these are better for short-term savings goals than checking accounts. When you deposit money into your savings account, you’re likely saving for a relatively short-term financial goal or to build an emergency fund. Some financial institutions will issue an ATM card for this type of deposit account, while others don’t. Typically, you put money in your account by transferring it from another deposit account, like your checking, but you can also set up direct deposit or deposit cash or checks. Everyone should have a separate savings account if at all possible. At the very least, it allows you to build a relatively liquid emergency fund. If you have other financial goals, it can help you save money quicker than a checking account, as savings accounts usually have higher annual percentage yields (APYs). The biggest thing you should know before opening a savings account is that you’re limited to six withdrawals per statement cycle. Regulation D from the Federal Reserve Board limits “convenient transactions,” like automatic transfers, transfers made by check or debit card or withdrawals initiated by phone, computer or fax machine. “Less-convenient” transactions, like those made in person, by mail or at an ATM, do not count toward the limit. If you go over the allotted number of transactions, you could get hit with fees. If you repeatedly exceed your transaction limit, your bank or credit union may close your account or convert it into a checking account. The biggest determining factor for your savings account will be the APY. The higher the APY, the faster your money will grow. Online-only financial institutions generally offer higher APYs than their brick-and-mortar counterparts, LendingTree found in a recent study. If a savings account has monthly maintenance fees, keep shopping. There are plenty of great savings account options with high interest rates that do not require minimum monthly balances or a minimum monthly deposit. Checking accounts, also known as demand or current accounts, are the most liquid of deposit accounts. Once you deposit your money, it’s extremely easy to get it back out, should the need arise. You can deposit money into your checking account by taking cash or a check into your financial institution. Most of these institutions will also let you deposit checks online, with a mobile app or at an ATM. You may also be able to set up direct deposit with your employer, meaning your paycheck will automatically be added to your checking account on payday. Most checking accounts come with unlimited withdrawals. You can withdraw money at a branch or an ATM, or by using your debit card to request cash at some retailer checkouts. You can use the money in your account by paying a merchant with your card or by entering your account information online in select situations, such as making a payment toward a monthly loan or credit card bill. Everyone could benefit from having a checking account. It’s an easy place to store your money, and it’s also easy to get your money out without any penalty fee. Checking accounts are safe, too: Money stored in most standard checking accounts is insured up to $250,000 by the FDIC or NCUA. The biggest threat to your money in a checking account is inflation. Checking account interest rates are extremely low, so these accounts are not good places to save your money for the long term. While many financial institutions offer free checking accounts, some may charge monthly maintenance fees, Some may drop the fee if you maintain a balance over a set amount or if you have a direct deposit occurring at least once a month. When looking for a checking account, ask about maintenance fees and what you can do to avoid them. Because interest rates are so low on checking accounts, Ken Tumin, founder and editor of our subsidiary DepositAccounts.com, recommends looking at other factors when running a comparison. He also advises considering potential fees as you comparison-shop. Money market accounts (not to be confused with money market funds, which are an investment option rather than a deposit account) operate in much the same way as savings accounts. The biggest difference is this: You’ll trade a higher APY for more potential fees. He says a standard minimum balance on these accounts is $10,000. Like a savings account, you will only be allowed a certain amount of withdrawals each month before incurring a fee. Typically you get somewhere between three and six. Money market accounts may also allow you to write a certain number of checks each month. While they generally have higher fees and a higher APYs than savings accounts, Tumin notes that these two products can be very similar. If you have a substantial amount of savings and know you’ll be able to meet the account’s minimum monthly balance without breaking a sweat, a money market account may be good for you. They may offer higher interest rates than savings accounts, allowing your money to grow quickly. It’s also a nice option for those who have savings goals a few years out, but aren’t comfortable with making their money inaccessible for long periods of time with a CD. Like a savings account, your money market account could be shut down or converted to a checking account if you regularly exceed six withdrawals per month. You may also incur a fee if you fall below the account’s minimum balance requirements. You can compare money market accounts by looking at the APY offered and weighing that number against any potential fees. IRA certificates of deposit (IRA CDs) are a vehicle for retirement savings. They operate in much the same way as CDs, except you hold them in your retirement portfolio. If you have a traditional or Roth IRA, you can invest those funds into an IRA CD. IRA CDs work the same way as regular CDs with the exception of tax penalties. Depending on the type of IRA you have, you will still have to adhere to the rules of your retirement account. IRA CDs don’t carry the same risk as some other investment options like stocks and mutual funds. This makes them extremely safe, but they also produce comparatively low returns. Because you’ll know the interest rate up front, you will know exactly how much your money will grow before you invest it, but this isn’t the best primary investment choice for those who still have decades until retirement; they miss out on many years of growth. IRA CDs are extremely attractive because they come with no fees unless you take the money out early. Then you’ll have to worry about hefty early-withdrawal fees and tax penalties. The first time you open an IRA CD, you will want to consider one with the lowest IRA fees and the highest APY. However, switching — even for a better rate — can be tricky once you’ve started investing in CDs. Transferring a CD mid-term could also mean early-withdrawal fees. IRA savings accounts allow you to put money away for retirement with tax benefits. They are a first or intermediate step rather than an end goal. Your IRA savings account will accrue interest, but not at the same clip as an IRA CD. You are only allowed six withdrawals per month, whether you’re transferring the money out of your IRA or into another investment vehicle within your IRA. An IRA savings account is ideal for individuals who aren’t ready to invest in a mutual or index fund. They can also be a good tool for those wanting to hold money between investments. Maybe your CD has matured, and you know you want to buy a mutual fund with the money, but you’re not sure which one yet. You can keep that money in an IRA savings account until you’re ready to make your next investment decision. You can take money out of a Roth IRA savings account. You just have to make sure you’re withdrawing only principal and not interest — otherwise you could incur a tax penalty. You can compare IRA savings accounts by APY, but it may be better to compare general IRA fees. These are fees you’ll incur regardless of which investment vehicle you use — a savings account, CD, stock, etc. — and vary from institution to institution. While you want to get the lowest rate available when you’re borrowing money, you want to get the highest when opening a deposit account: The interest the account earns will be going back into your pocket. Interest rate is the general term used for the amount of money an account builds over time. If it’s simple interest, it’s usually calculated over a one-year period. So 2 percent simple interest on $100 sitting in a CD would garner $2 at the end of the year. But that’s not how interest on deposit accounts generally works. Interest usually compounds over the course of a month or sometimes over a day. So you can better compare accounts, most financial institutions provide you with an annual percentage yield (APY) in lieu of an interest rate, which would require complex mathematical equations for an accurate comparison. When you’re comparing deposit accounts, make sure you’re comparing the APY for each one. Money market accounts may provide you with high APYs at the cost of potentially high and frequent fees. CDs will provide you with high APYs at the cost of not being able to touch your money for a set period. If you’re looking at checking and savings accounts, savings accounts will usually give you the best interest rate — especially if you’re opening an account with an online-only bank. However, there is another kind of checking account called rewards checking. These accounts can earn more than four times the interest you could get with an online savings account, but only if you meet certain criteria. For example, you might have to use your debit card a minimum of 10 times per month. You will also only be able to earn the higher APY on a limited amount of money. Any money saved above that amount will earn a lower interest rate. 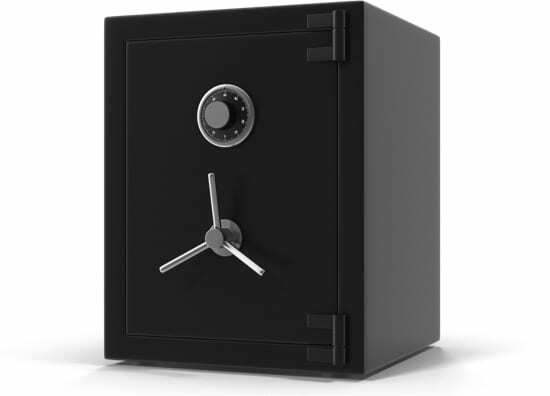 How is the money held in deposit accounts protected? Money held in deposit accounts is usually protected up to $250,000. That means that if the bank fails, the insuring organization will step in to make sure depositors don’t lose their money. Banks protect your funds through the Federal Deposit Insurance Corp. (FDIC), while money in most credit union deposit accounts is backed by the National Credit Union Association (NCUA). State-chartered credit unions can be privately insured in some cases. If your credit union is not NCUA-insured, look for deposit coverage through American Share Insurance (ASI). Is it better to open a deposit account with a bank or a credit union? Credit unions have historically offered a better return on deposit accounts for consumers. Today, online-only financial institutions have the best rates overall. Tumin notes that this is especially true for savings accounts. You should shop around at brick-and-mortar banks, credit unions and internet-based financial institutions, though, as these rules are general in nature there will always be exceptions.